Materials: polyester, copper thread coated with silver. 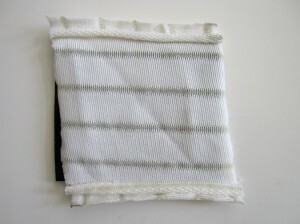 This knitting textile is made of two layers of fabric that incorporate conductive threads. 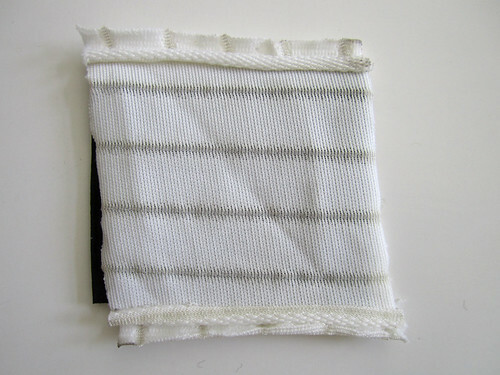 Each layer has a structure that alternates conductor strips and isolating strips that give the material the resilience to get back in shape after a pressure solicitation.